FIVE years ago I enjoyed an ACDC concert in the least rock and roll way possible: sitting on a picnic blanket on the banks of the Torrens, sipping wine and eating cheese while occasionally reclining to look up at the stars. Apart from the moment when a screaming toddler careened past and accidentally kicked me in the head to the sounds of Whole Lotta Rosie, it was the most serene rock concert experience I’ve ever had. Tonight the band is back for a sold-out show at Adelaide Oval, and I’m hoping for a much less serene experience, because this time I actually managed to buy some tickets. Now I can finally rescue my rock credentials by head banging my way, front and centre, through a ball-tearing rock set, without any camembert to ruin my look. 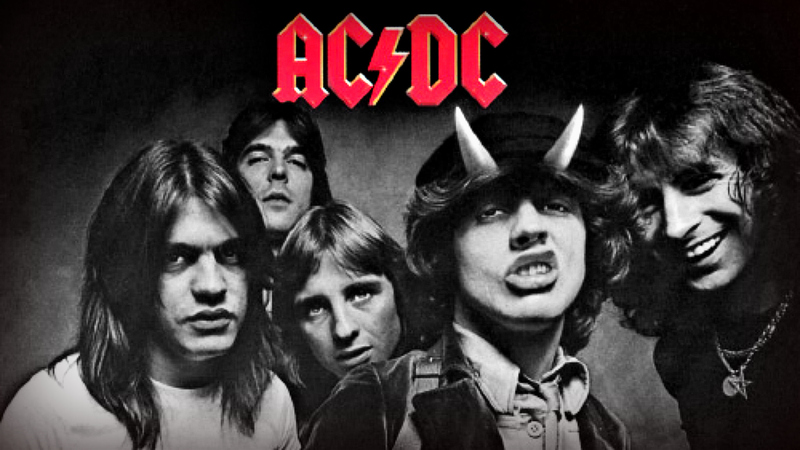 It’s always a big deal when ACDC comes to town. I mean, it’s a big deal when ACDC goes anywhere (have you seen their stage set up? It’s like the Starship Enterprise), but especially so in Adelaide, where our favourite pastime is claiming famous people and things as our own. Like the pie floater (apparently invented in Sydney). Mel Gibson (he lived here for a bit). Musician Ben Folds (ditto). Bon Scott lived here for a bit, too, and so ACDC is officially (at least according to us) an “Adelaide band”. So in recognition of our state’s claimed ownership of the greatest rock band ever, I’ve put together a heaps good set list of South Aussie-fied songs for Acca-Dacca to consider for tonight’s show. Eastern states types may scoff, but I’ve discovered that if you delve deep enough into ACDC’s back catalogue you’ll discover a whole bunch of hidden South Aussie meanings in their songs. A total rock classic, this song stands as a paean to our recent citywide power outages. Alternatively, with a small lyric change — “black” to “red” — it becomes an anthem for our state’s economic status. The perfect ode to the interminable South Road reconstruction. Although the lyric about “nobody’s gonna slow me down” isn’t quite accurate (I mean, have you driven through Croydon lately? A leprotic donkey could go faster). Clearly a comment on Adelaide’s toxic soil contamination problems. A tribute to another Adelaide legend, former prime minister Julia Gillard. It’s a little-known fact that ACDC, as a band, has always had an active interest in state public transport systems. This is evidenced in their iconic video for It’s A Long Way to the Top in which they ride a flatbed truck through Melbourne’s CBD, a form of public transport which unfortunately never took off. Although Rock ‘n’ Roll Train contains several references to “running right off the track” which could be considered inadvisable engineering policy, this 2008 song is clearly a plea to the State Government about extending the tramline to North Adelaide. Obviously a musical commemoration of the 1954 Adelaide earthquake. Anyone who’s ever attempted climbing Mt Lofty knows exactly what this song is about. Can’t imagine Bon ever gave it a crack in his skinny jeans, but if he had he definitely would have wanted a sausage roll at the top. Originally published in The Advertiser, November 21, 2015. CLICK HERE to read the original article.